Aaaaaaand – we’re back! After a hiatus over the colder Winter months we’re excited to bring you a super special edition of MGV up in the clouds in Sydney’s CBD. 100% of the ticket price from this particular event will be donated to the Movember Foundation. Dancing = fundraising – who knew it could feel so good to do good! For our ‘MOVE IT with Morning Gloryville’ event, we are proud to be working with Movember launching their 30 day ‘MOVE’ fitness challenge – a chance for Mo Sistas to get active as well as inspire the men in their lives to take control of their physical and mental well being. MOVE is a 30 day fitness challenge to fundraise for Movember….’cause y’know – we can’t all grow a moustache! We’re pumped to be moving temporarily to the aMBUSH Gallery in the park right by Central Station. The space has a whole wall of floor to ceiling windows offering us all the chance to feel like we’re dancing in the sky! 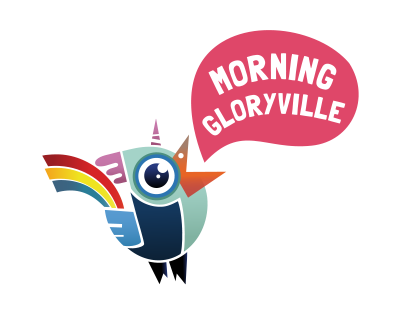 A heartfelt thanks to Juni, Ola, Max and David who brought Morning Gloryville to Sydney. Also to Rookaya, Emily, Penny,Paz, John, Ange, Leila, Dave, Lenny, Michelle, Amie, Danna, Jose, Courtney, Fiona, Team Stretcheyz and all the volunteers and guests who made the events so magical.